It’s Etsy time! Check your latest American Express offers (aka AMEX Offers). One of the offers you may find in your account is a $10 statement credit if you make $40+ in purchases at Etsy by 3/22/18. 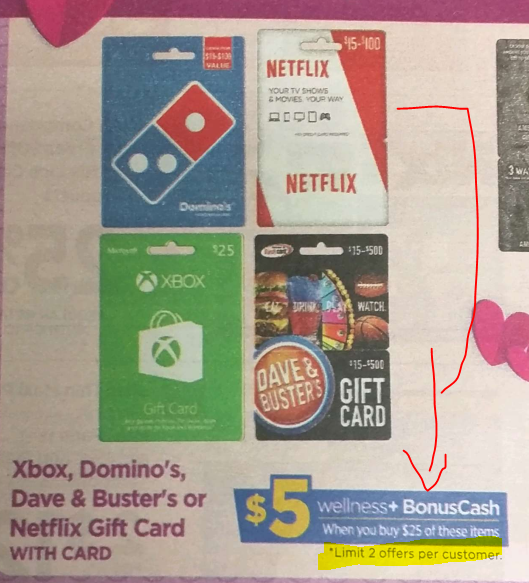 You don’t have to spend $40+ in a single purchase, but rather, throughout the promotional period, paid with the same AMEX credit card obviously. The offer expires 3/22/18. But first you must add the offer your AMEX account by pressing the little “Add to Card” bubble at their Offers page or app. If you have a big print job or copy job or shipping to do, grab all your “to do” items and head on to your local FedEx Office (or use their website). If you make a $10+ single purchase by 1/31/18, you will receive a $5 statement on your AMEX card. This too is part of the AMEX offers, so BEFORE you make the purchase, make sure you logon to AMEX Offers and activate this offer in your account by clicking on the “Add to Card” thing. If you have multiple AMEX credit cards on the same account, make sure you activate it on the card you intend to use to pay for your FedEx order! The clock is ticking on this offer! You have until 1/31/18 to spend $50+ at the GNC website, and receive a $10 statement credit on your American Express credit card. This too is part of the AMEX offers, and BEFORE you make a purchase, you MUST first activate the offer in your American Express account by pressing the little “Add to Card” button at the Offers page or using the AMEX app! If you have an American Express credit card, check the latest AMEX offers! One of them is the return of the Starbucks offer! 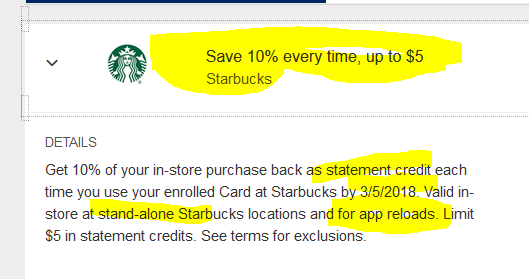 After you activate the offer in your AMEX account (click the little “Add to Card” bubble at the AMEX offers page), you will earn a 10% statement credit on your Starbucks purchases, up to a $5 statement credit. If you are planning to make any Vudu purchases, a new email that went out to their customer list mentions a new promotion. If you “convert to digital” by 1/22/18 at 11:59pm pacific time, you will be eligible to receive by email a couple of days later a coupon that will get you 10% off your next Vudu purchase. 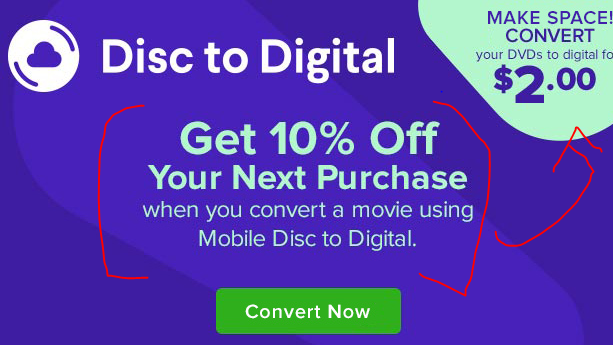 If you are not familiar with “Convert to Digital”, it’s a Vudu/Walmart services that lets you buy a digital copy of your DVDs for an extra fee. DVDs are typically $2. You have to use an app to verify your DVD copy. This is a good way to go if you want to thin out your physical DVD library. This is especially good for movies that are hard to find on Netflix or Amazon Prime, or movies that keep moving from one streaming service to another every few weeks [so annoying!]. 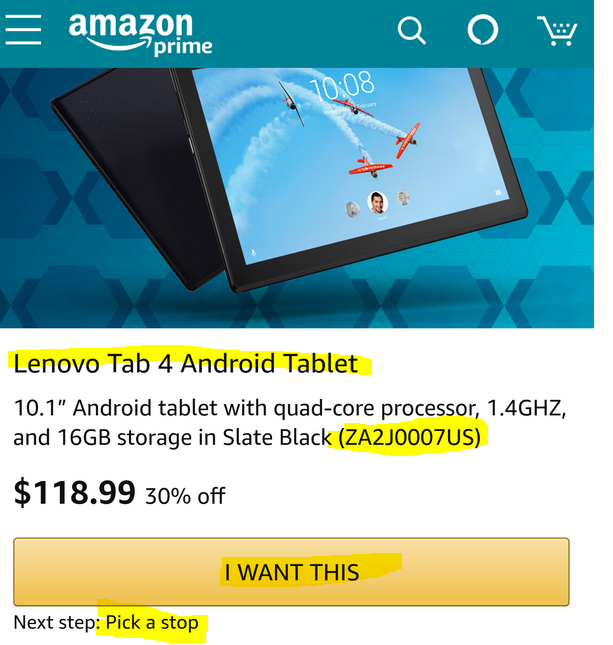 If you prefer the previous generation of the Kindle Oasis (the 6 inch model), the Wifi + free 3G model is currently available in “Used – Good” condition (with cosmetic imperfections) for $210 through Amazon Warehouse Deals. Note that Kindle devices purchased through Warehouse Deals do NOT get a warranty, but you have a 30-day return policy. On the other hand, Amazon’s certified refurbished devices sold through the main Amazon website get a full warranty. Thanks to a limited time 20% off clip-on coupon at Amazon, you can get the 24-pack of Snickers Single Serve 100 Calories for $7~ after the coupon. 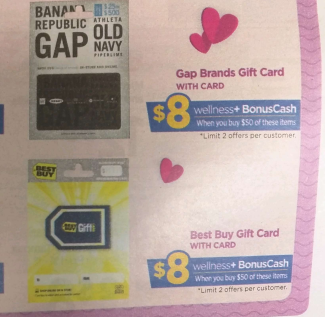 The coupon is based on the price (currently $8.81), so if the price change, the discount will change as well, since the coupon is a percentage of the price, not a fixed sale price. This averages to around 29 cents for each individual Snickers bar. That’s a pretty good price as long as you stick to one bar at time, not a handful 🙂 These average 3.8 out of 5 based on 64 customer reviews. These are the classic peanut snickers. Which brings us to the Third Colossal edition, covering Volumes 11 to 15. You can find the list of chapter and summaries this includes using Wikipedia or your favorite manga website or wikia. This colossal edition covers chapters #43 to the end of chapter #62. That’s 20 chapters total. DO NOT check the above page unless you read everything. It contains spoiler-y summaries of every volume! Which finally brings us to the deal at hand. At the moment, Amazon actual is offering the Paperback (print) version of Colossal Edition #3 for the very specific price of $28.86 with free shipping for all. Prime members get free 2-day shipping, while non-members get the usual free super-saver shipping. That makes it just under $1.50 per chapter. I don’t have this Colossal, but I have Colossal #2 (The Female Titan arc) and it’s quite a monster volume!